Plenty of research has noted the dangers of sitting for too long at work—but did you know that standing can be harmful too? When you stand, it puts weight on the circulatory system, not to mention your bones and joints. This increases your risk of varicose veins, can stress and strain the joints, and cause other problems. So if you shouldn’t sit too long, and you shouldn’t stand too long, what should you do? Start with the proper footwear. 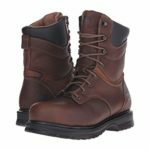 By choosing the best work boots for standing all day, you’ll be choosing boots that cradle your joints while providing support through your entire body. Keep reading to learn more about the top choice in boots for men and women who have to stand at work all day. Work boots can take a beating in the workplace, even when you spend most of the day standing in one place. These three best boots deliver where it counts. 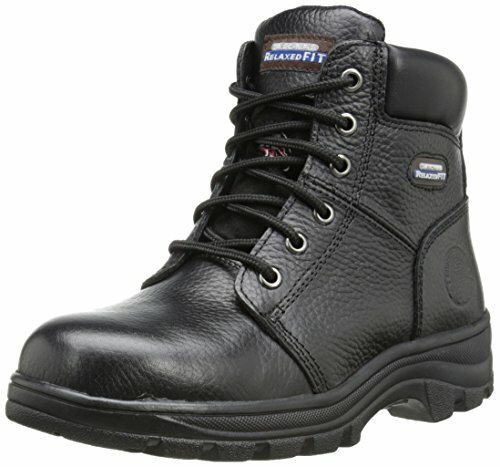 These leather boots have a steel toe to protect you from workplace hazards and an oil-resistant traction outsole. The rugged Nubuck leather of the upper is built to last, being secured to the rubber outsole with Goodyear welt construction. The quality of the materials used and the Goodyear construction adds up to durability, so you can be assured your work boot will last through the toughest of conditions. Inside the Caterpillar Men’s Second Shift Steel Toe Work Boots, a plush collar and tongue help hold your foot in place and add softness for the break-in period. A steel shank runs through the boot to add stability and support. On top of it, a removable polyurethane sock liner adds to softness and comfort. You will also appreciate the hex-shaped grommets at the top of the boot that allows speed lacing. Some other nice features include an outsole that bends with you as you move, in case you find yourself walking around on the job. This flexibility comes despite the thickness of the sole, which absorbs shock to cushion your back, knees, and ankles. Nylon mesh lining is paired with the leather to ensure your feet breathe throughout the day and a Climasphere insole helps keep things fresh and cool inside your boot. Though this boot is not lacking in comfort, it is a little heavy for the average wearer. However, you will adapt to lifting the weight of the shoe with time. The leather is also soft, which is nice, but it is not as durable as other brands. Another downside is that the laces, although convenient, come untied easily. Finally, the soft leather of the shoe is susceptible to scuffing. Though this boot features a soft toe, it has electrical hazard protection. Rising 5 ½” from the arch, it has a slightly lower upper than some of the other boots, however, it still offers good ankle support. The upper is made of high-quality leather and the rubber outsole grips well, despite what looks like gentle traction. 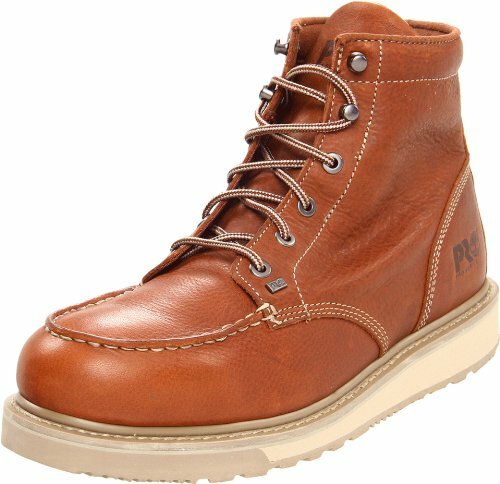 The Timberland PRO Barstow Wedge Work Boot is designed for a more comfortable, roomier fit so it is ideal for people who stand a lot at work. It is fitted with anti-fatigue technology that absorbs shock as you walk, cushions the impact of your joints, and provides the support that you need to get through the workday. The outsole is very comfortable and works especially well on hard surfaces like concrete. 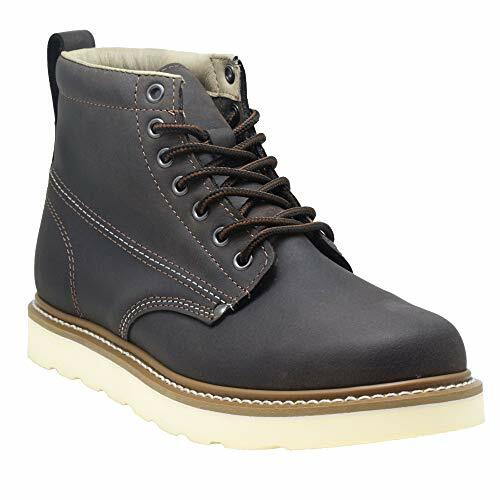 This is a boot that requires break-in, but it is well worth it for the high durability of the leather. It also breathes really well, so you don’t have to worry about your feet sweating in a warm work environment. This isn’t the best boot if you frequently climb ladders at work, but it does grip floors well. It can be very hard on your foot during the break-in period, so it might be a good idea to invest in thick, tall socks. It is not waterproof, so it is not a good fit for outdoor work. Finally, as the shoe breaks down over time, cracks may form in the outsole near the natural bend of your foot. 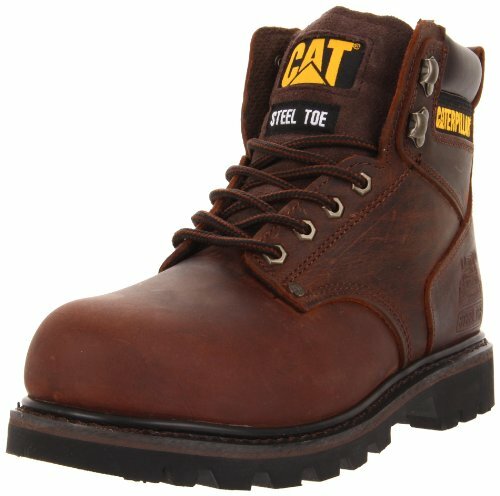 This soft toe work boot has a comfortable, lightweight outsole paired with a full-grain leather upper. The upper is made of premium oil-tanned leather, which helps it maintain its appearance and durability over time. It is also water repellent and durable. As the boot gets softer with wear and is incredibly durable, it may be worth re-soling later on. 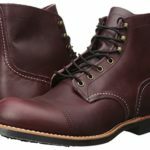 This is made possible because of the Goodyear welt construction, which keeps the sole held fast to the upper until you are ready to replace the boot. The traction outsole of the Golden Fox Men’s 6” Plain Toe Wedge Work Boot is made of a polyurethane material. It is grippy and absorbs shock well, especially when working on concrete. The absorption comes from the tiny air bubbles inside, which make the boot lighter while absorbing impact. The outsole is also resistant to oil absorption and chemical erosion. Inside the shoe, an anti-fatigue build comes together to absorb shock and cradle your foot. The cushioning in the heel is designed to absorb the impact from walking and protect your joints. This is paired with a dual-density insole. Additionally, the insulated lining on the inside also adds a little warmth while wicking away moisture to prevent odor in your boot. Even though the traction is grippy, it is not suited to climb ladders. Additionally, even though the upper of the boot is made of full-grain leather, the toe area scuffs easy. You can help prevent this by regularly treating the leather. 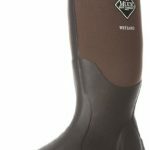 This boot has durable leather uppers with a 6” shaft. It is waterproof all-around, from the tongue being sewn to the boot for a seamless design to rustproof hexagonal eyelets to speed lace your shoes. Its sleek design is neat and despite being a little heavy, the boots are not clunky. 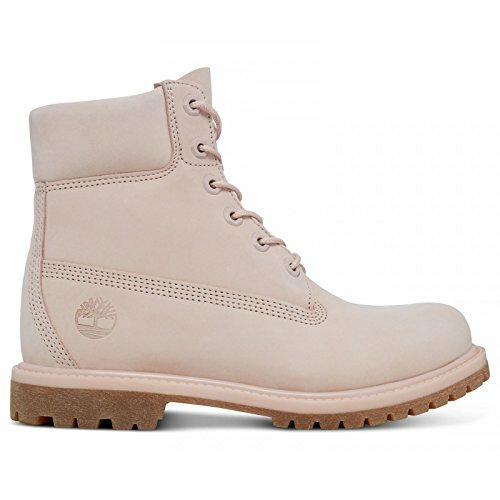 The outsole of the Timberland Women’s 6” Premium Waterproof Boots is made of a synthetic material with a sticky grip that keeps your foot study on any surface. It also features a removable footbed and anti-fatigue midsole, which gives the shoe cushioning to keep your foot comfortable and absorb the impact of your movements throughout the day. Another great feature of the outsole is that it is made using plant-based and recycled materials. Inside the boot, there is a roomy toe box and light insulation. It is just enough to keep you warm. There is a padded collar for ankle comfort and soft leather lining to increase the durability of the shoe. Additionally, a geometric cone design built into the midsole provides support and absorbs shock. These Timberlands will provide ankle support, but you have to tie them all the way up to do it. Additionally, though the sticky outsole is great for traction, it tends to pick up dirt, sand, and other materials you may work in. While the break-in period may be rough, it will be worth it in the long run. This steel toe boot is designed for the tough workplace, regardless of what you need to do. Made of Buffalo Crazy Horse leather, the upper is incredibly durable. It also has overlays in the side and heel, to ensure it withstands any obstacle. Additionally, it rises about 5.25” from the shaft, which is just enough to provide ankle support. The synthetic outsole of the Skechers for Work Women’s Workshire Peril Steel Toe Boot is made with a lug pattern that lends to great traction. It is also slip- and oil-resistant, which is important in the average workplace. Finally, the 1.5” thickness of the heel area lets the outsole absorb impact to protect your joints. Though it’s designed to stand up to tough challenges, this boot does not sacrifice comfortability. A comfortable, roomy fit is paired with memory foam cushioning and a removable footbed infused with gel technology, so every step you take is one take in comfort. 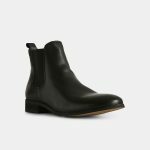 A soft lining fills the boot and a padded collar and tongue hold your foot in place, ensuring you don’t get blisters or hot spots. Even though there are plenty of soft features inside this boot, you may want to wear tall socks to protect the ankle area and prevent blisters during the break-in period. Additionally, the boot does not offer enough arch support for people with high arches and scuffs show on the outer leather easily. This boot offers lightweight protection with an asymmetrical aluminum safety toe and a roomy toe box that will prevent pinching. The upper is made of leather and textile materials, making the shoe waterproof, durable, and breathable. The boot stands about 5.5” from the arch. 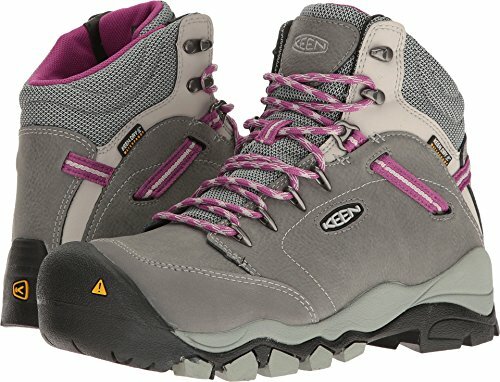 The KEEN Utility Women’s Canby Waterproof Industrial and Construction Shoe is designed with a thick rubber outsole to absorb impact as you walk. It is oil- and slip-resistant, as well as non-marking. This makes it appropriate for any workplace. The boot is designed to provide anatomical support to your foot. It cradles the natural curve of your foot with a compression molded EVA midsole to give your foot a soft bed. This means that your feet do not feel worn at the end of the day. The break-in period of this shoe is another place—it takes less than a week before you feel incredible comfort. Though the boot breaks in easily, the upper around the ankle can remain stiff for weeks after the initial break-in. It is not a good choice for people with high arches and the laces can be hard to hook on the eyelets. Finally, the boots get dirty easily. Investing is a comfortable, supportive pair of work boots is the best thing that you could ever do for your feet. 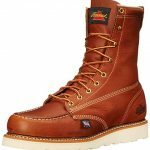 The right pair of boots will help you avoid joint pain, back pain, and other hazards of being on your feet all day while providing the slip-resistance and other features that you need to keep your feet safe in the workplace.